Every tax-paying person may be eligible for up to $200 (filing singly) or up to $400 (filing jointly) from the government to support select organizations. This full amount if eligible will be reimbursed in your taxes. 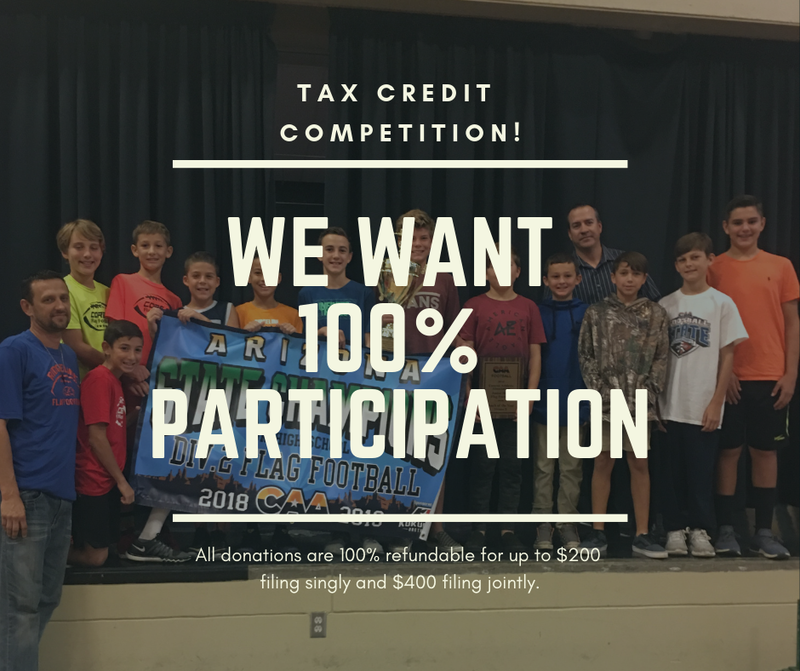 If every Ridgeline parent gave the tax credit donation, we would be able to pay for all sports for the next three years and the Patriot Challenge for 75 students! 1.The first class to 100% participation will get a field trip! 2.Each parent who donates at least $50 will get a “parent’s night out.” This event will be in February. Your student(s) will be treated to a movie and snacks at Ridgeline while you get a few hours to yourself! 3.All classes that reach 100% participation will celebrate with a field day or pizza party. Once you fill out the form online, bring a check in person to the front office. We are working on getting an online platform for donations.